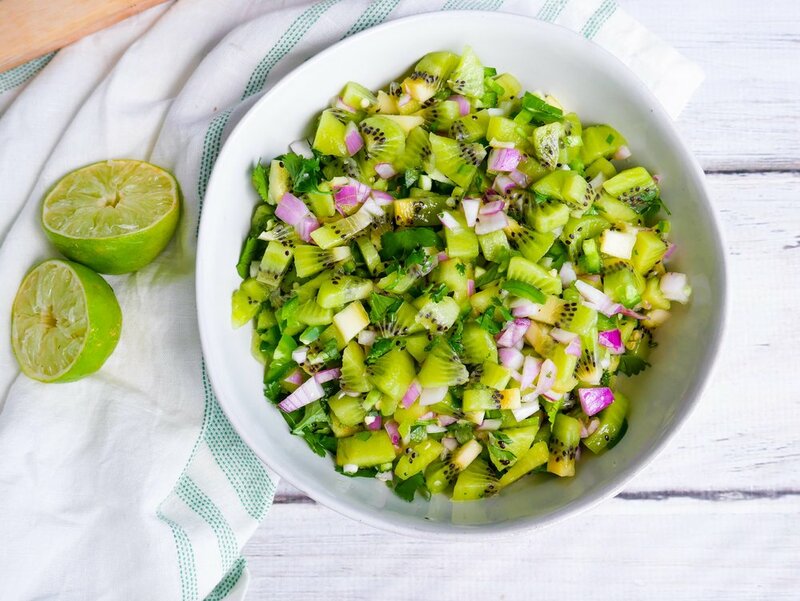 This salsa is tangy, spicy, light and refreshing. Serve with corn chips, toasted pita crisps, on top of a salad or paired with grilled fish or chicken. New Zealand Kiwifruit season is from April through to January, meaning they are abundant and well priced. 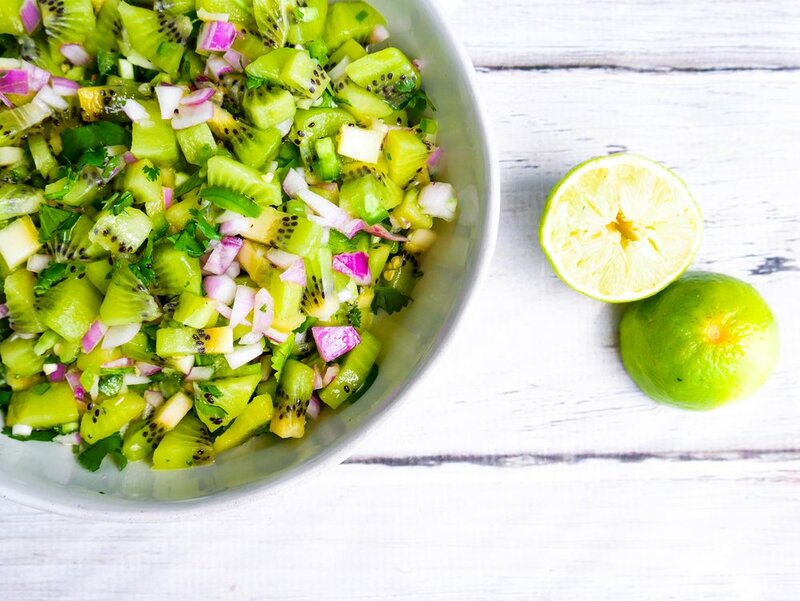 Kiwifruits are rich in vitamin C, which is what we need more of during Winter to keep away those cold and flu's. 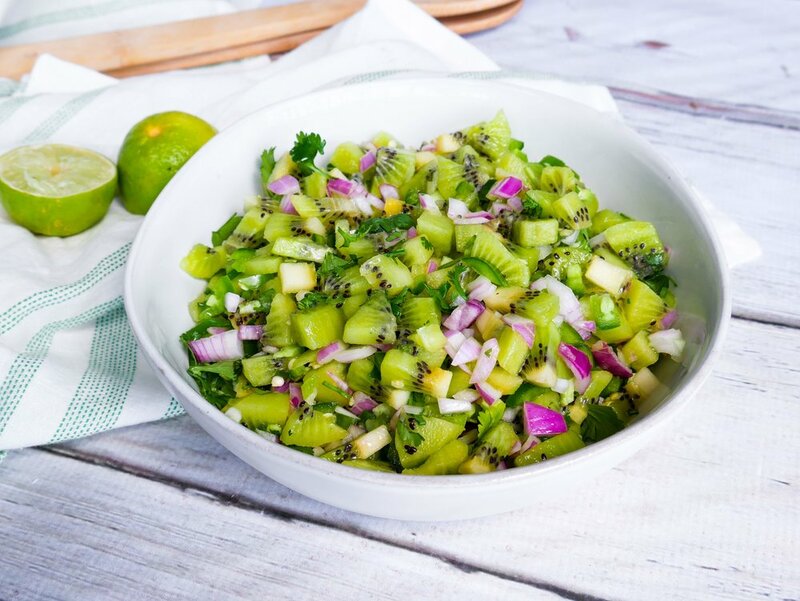 Kiwifruits are high in fibre, anti oxidants, vitamin A, E and K.
Combine kiwifruit, jalapeno, onion, coriander and lime juice in a bowl. Serve immediately or store in fridge.